Once again, the mainstream media casted it’s reel and the rest of the world took the bait. The British Open marks yet another event where they reach for storylines that are simply nonexistent and practically irrelevant to the actual event itself. We just finished the (very exciting) World Cup where we saw the culmination of some of the world’s greatest athletes (and actors) take to “the pitch” to show us their talents from bicycle kicks to phantom falls that are magically healed with some mystical spray. When we see players wearing kinesiology Tape, it’s no wonder that our minds immediately think that the tape must be a part of the magic that allows them to miraculously return to play after what seemed to be a career ending tackle. Now, I don’t know what’s in the spray that apparently fixes anything from concussions to broken legs, judging by the way players roll around riving in pain, only to speedily recover once the yellow or red card has been given, but I can attest to what the tape is doing, and it’s not magic. It’s certainly NOT what more than half the media world, as well as many kinesiology Tape brands boast it does; strengthen muscles and fix injuries. If you were one of the many who sent me pictures on my vacation, of Tiger Woods wearing kinesiology tape, thanks, but so what. Is it great for kinesiology tape, that a famous person is wearing it? Sure. Does it help that it’s Tiger? You bet! The problem I have is that athletes from pro sports to children in pediatric rehab centers around the globe have been using the tape for the last 20 years. It’s not news. The reality is that most of the people who use kinesiology tape, aren’t on TV and wear it under the clothes they wear to work and school every day, you just never know who is wearing kinesiology tape. The next problem that occurs is the misinformation of what the tape can do. I’ll keep it simple. It does two things; provides lift to the skin and sensory input to the brain, depending upon the degree of tension(stretch) you place on the tape, paired with whether or not the surface area (clean, shaved skin) is placed on a stretch (a.k.a. tissue stretch), the tape can effectively assist the body, naturally. That’s right. There are no additives in the tape like menthol or arnica for example. Successful outcomes are based entirely on the applicators ability to assess and evaluate properly as well as understand how the tape functions. THIS is where the breakdown occurs in the tapes credibility. It can be purchase dover the counter. Meaning, anyone can attempt to use it. If not properly informed on the “how”, what you are taping will likely fail. 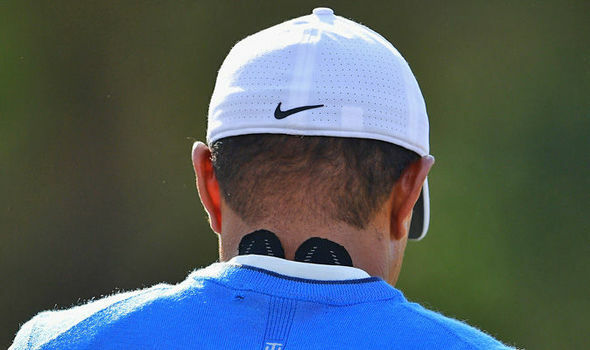 So for those of you who see kinesiology tape coming out of Tiger’s shirt, unless Tigers camp tells you exactly why he is wearing Tape, you are only speculating. Besides, even if his camp stated he “slept wrong”, I can all but guarantee that they did so much more than just slap some tape on his back and sent him to the tees. I can show you three identical applications and they can all have 3 entirely different purposes. I can also show you 3 different looking applications that serve the same purpose. In other words, the media is speculating about what, why and how Tiger is being taped. The fact that he is wearing kinesiology tape should not be newsworthy. 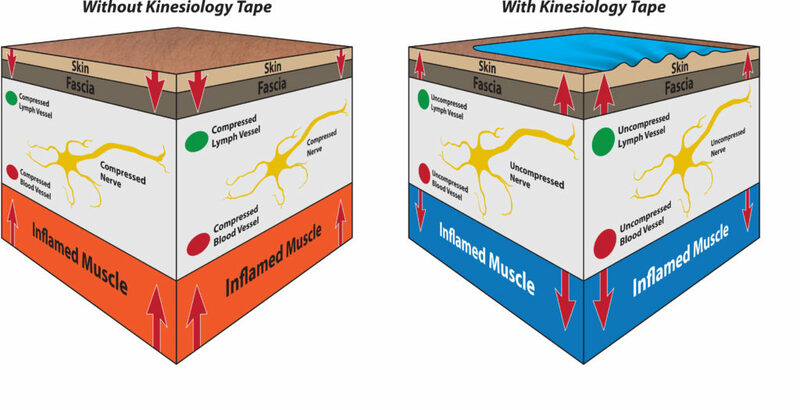 The what, why and how of kinesiology tape is what should be. The rest simply amounts to tabloid gossip. Some will even say that the Tape shows the opponent (and viewers) that they are injured. WRONG. 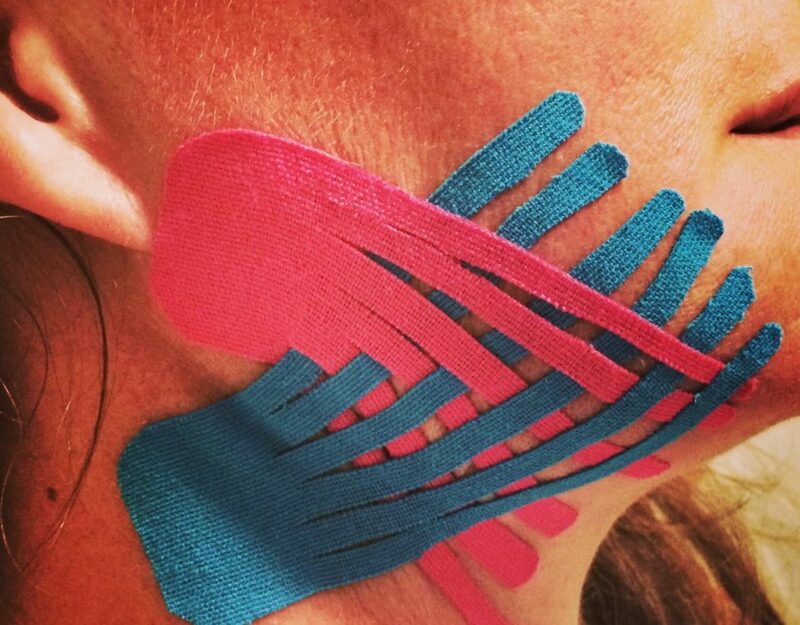 Kinesiology tape is not only for dysfunction. Kinesiology tape can be just as effective as a performance advantage as well. It’s important to keep this last thought in mind when considering the buzz that always surrounds kinesiology tape. The tape has been used successfully since the 1970’s, WHEN USED AS AN ADJUNCT TO CARE. 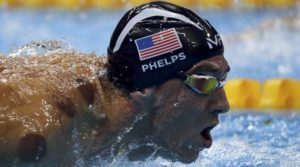 It’s like thinking that Michael Phelps won gold because of the cupping, and all his other training & recovery is forgotten, yet suddenly cupping is the newest craze. Why? The media knows just how to manipulate the consumer. So, tomorrow, I would not encourage you to go out and by a roll of kinesiology tape and some cups to fix your ailing shoulder. 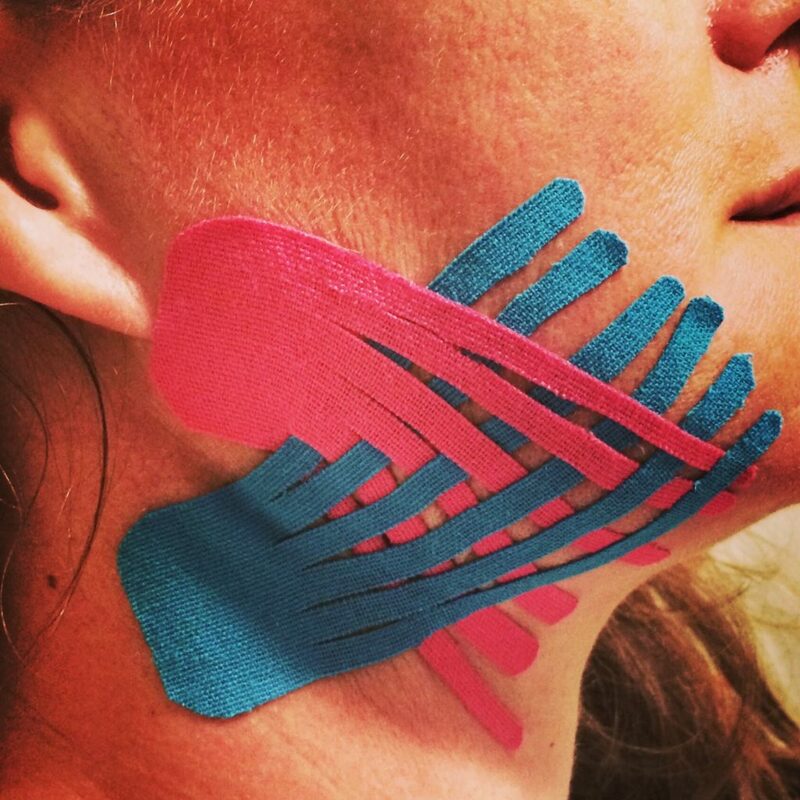 However, if you do have an ailing shoulder, I would encourage a well-rounded approach to recovery and incorporating something like kinesiology Tape (from a certified specialist) into your treatment plan if you want to improve your results.